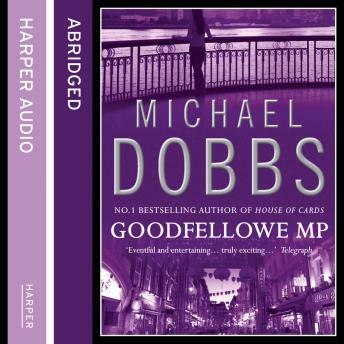 Michael Dobbs' popular new character Tom Goodfellowe, the crumpled backbench MP, makes his debut and takes on the might of the press in this highly acclaimed novel of power and corruption - now reissued in a new cover style. INTO AN AGE CRYING OUT FOR NEW LEADERS STUMBLES THE MOST UNLIKELY POLITICAL HERO OF ALL. Tom Goodfellowe is not like other MPs. His private life is a mess, his love life is abysmal, he has an overdraft and a drink-driving conviction. He also has a talent for getting into trouble. He lives in London's Chinatown, and when he is asked to help a young Chinese girl, he has no idea he's heading into conflict with the Prime Minister, the police and the press - particularly Freddy Corsa, a newspaper proprietor who sets out to ruin Goodfellowe financially, politically and sexually. Goodfellowe is one man against the system, and he is about to be destroyed in tomorrow's newspaper.